Motels are interesting. Sometimes even the most questionable one looks like nirvana after a long day of driving on the road. 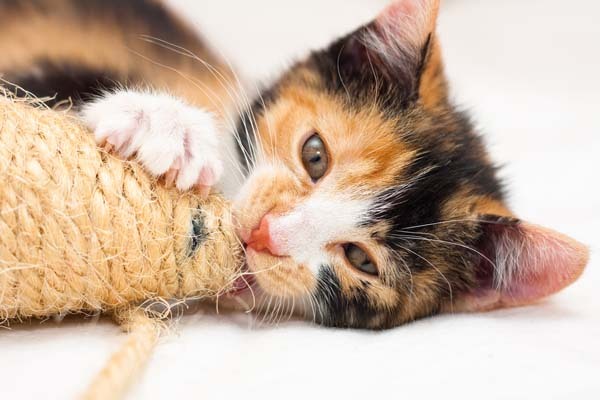 You may be tempted to instantly crash if you’ve driven the entire day, but if you’ve got your cat with you, make sure that the room is safe and cleared for cats before you let her out of her carrier. We recently made a long drive across the country with six cats and a dog. Each motel room (there were two) was a little different. The first night’s room was definitely nicer than the second night’s room. But even if you have a nice room, you need to check it out for hazards or anything that could be harmful for your cat. 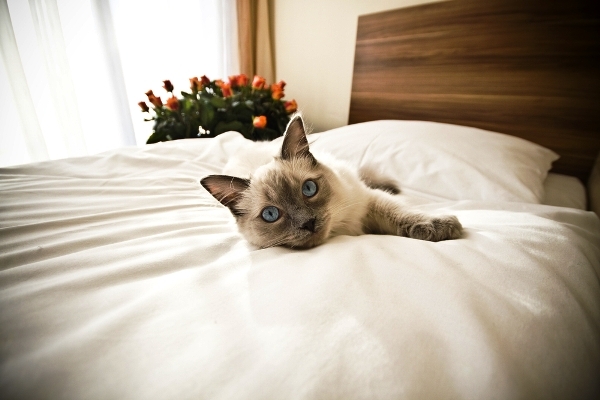 Remember, a hotel room is not home, and things may be just unusual enough to give your kitty (and you!) some problems. So play it safe and case out the room completely so that your cat doesn’t get harmed or into trouble. 1. Where could your cat get stuck? 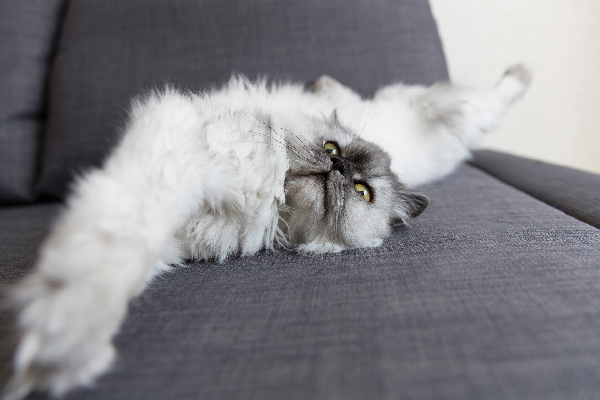 Are there cracks, crevices, or dangerous places behind furniture where your cat could get harmed or stuck? Walk through the room first and imagine you are a cat. Look for temptingly interesting places that a cat might not be able to resist but could have a hard time getting out of. For example, when we walked into the not-as-nice motel room on the second night of our cross-country move, the bed (which looked sturdy enough) was actually a pulled-down Murphy bed. But the stuff behind where a headboard would normally be — now, that was interesting. I wish I took a picture. There were all kinds of bolts and contraptions and springs, and my cat-alert mind instantly went to “danger.” You don’t want your cat getting a paw or worse caught in some powerfully loaded spring. We did our best to keep the cats out of that area, to say the least. 2. What looks innocent but might actually be a hazard? Remember, your cats may not be acting like themselves. Unless they love to travel, they may be a bit skittish, or scared, and they may do things they would not normally do. So, again, think like a cat. Where would you go if you were in a new place, scared, and just wanted to hide? One Catster commenter had her cat somehow get inside the box spring. Would your cat do this at home? Probably not. Are there desk drawers, TV cabinets, and other places your cats might try to hide? Check out these possibilities first. It’s possible that if your cat is completely freaked, she might be safer spending the night in her carrier rather than roaming the motel room. Fortunately, none of my cats were so fearful that I had to contain them all night in their carriers. 3. 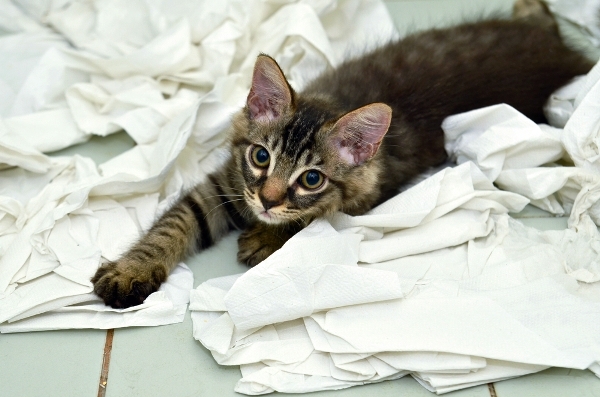 What could your cat destroy? I’m pretty conscientious. When our dog accidentally tromped on a motel towel with her muddy paws (why are these hotel towels always white? ), I cleaned the towel with soap and water, even though my husband found this amusing. In that same hotel room, there was a faux-leather desk chair on rollers. Granted, it was plastic, but I didn’t want my cats taking a fancy to it and sharpening their claws on it. I wheeled it into the bathroom and shut the door for the night. You know your cats. Take a look around and see if there are any destruction temptations in the room. 4. 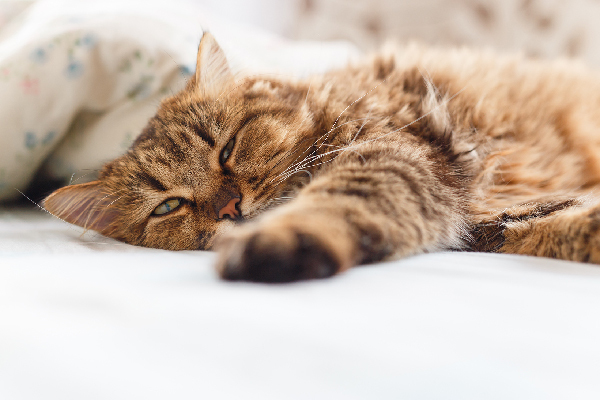 What substances might be harmful to your cat? Check out the room for accessible soaps, shampoos, and the like that you don’t want your cat getting into. Store these in a suitcase or somewhere safe. I’ll admit I’ve never heard of a cat going after soap or shampoo, but you never know. Each cat is unique. 5. Are flimsy windows or doors an issue? 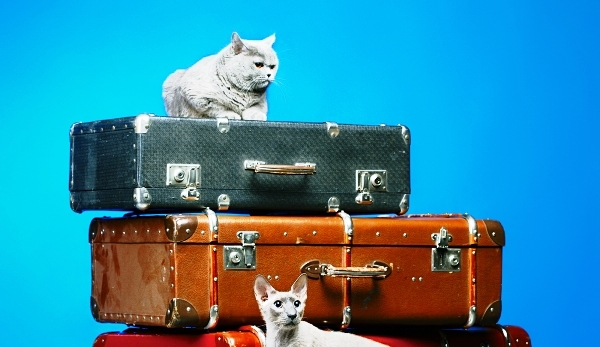 You don’t want your cat escaping on your trip. I can’t think of anything worse or more stressful. Make sure windows are secure, screens are tight and strong, and that exterior doors are shut completely so that a frightened or adventurous cat doesn’t escape. 6. Now, what will your cat enjoy? Now that you’ve cased out the room, let your cats have some fun if they’re so inclined! Let them have the run of the room, enjoy new windows, and snuggle with you on the bed. Remember, it’s not home. Things are going to be a little different, and you’re not going to be in the motel room long enough to get used to these differences. So be prepared, and make sure that when you check out of the motel, your cat checks out with you and is no worse for the wear. What have you found when you’ve stayed with your cat in a hotel? Are there things you had to look out for? What did your cat love? Share your stories in the comments! Have Your Cats Ever Freaked You Out During a Long Trip? 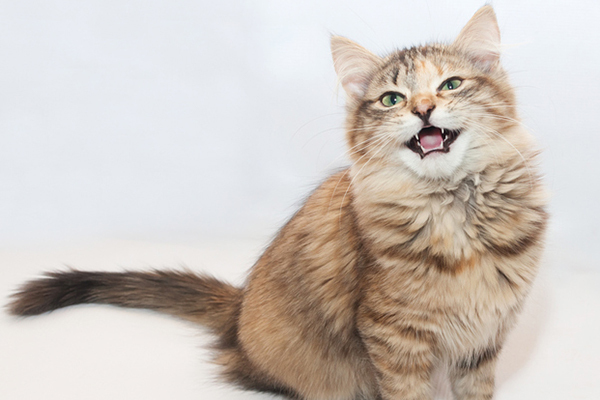 Do You Give Your Cat Silly Nicknames?